Description: From 12 to24 inches tall. 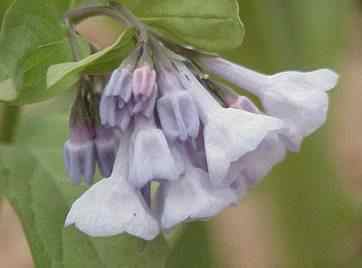 Leaves are 3 to 10 inches long, buds are pink, and flowers very from light to dark blue or occasionally white. There is usually a cluster of stems per plant. Small to large colonies are often found. 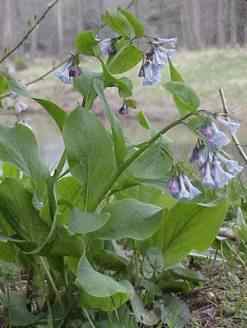 Also known as "Virginia Cowslip"